Spectacular Wooden Austrian Stamp - 第4页 - 陆羽集邮 - 天门社区 - Powered by Discuz! Some stamp issues are available on First Day Cover, which is a beautifully illustrated envelope with the stamp set affixed and cancelled on date of issue with the special First Day Cancellation. Our Partner Nordfrim offers a wide selection of FDCs (First Day Covers), which can add an interesting perspective to any stamp collection. FDCs often have really beautiful illustrations on the cover itself and bring an extra dimension to the history of the specific stamp. If you do not collect FDCs, some of the packets will give you the possibility to wash off the stamps from the FDC and in this way get stamps with high quality cancellations at attractive prices. We have selected a number of our favorite FDC items, and we invite you to use the link below to access the full range of FDC items and accessories available in Nordfrim’s web shop. It is also possible to get a FDC subscription for a specific country from Nordfrim - in this way you are guaranteed a complete collection of First Day Covers! Switzerland - FDC duplicate lot - Only 21 EUR - Save 21 EUR! Denmark, Faroe Islands & Greenland - 100 FDCs - Only 30 EUR! Iran - FDC duplicate lot - Only 25 EUR! WWF - 10 complete WWF sets on FDCs - Only 18 EUR! Sweden - Duplicate lot with 100 FDCs - Only 20 EUR - Save 20 EUR! To stay informed about everything happening at Stampworld.com you can like us on Facebookand follow us on Twitter.You can also keep an eye on the website, as improvements are implemented regularly. If you wish to unsubscribe from our newsletter, you can follow the link at the very bottom of this mail. Visit Nordfrim's Outlet and save 50%! Are you looking for great offers? Then we strongly encourage you to take a look at + 90 new items added to Nordfrim’s Outlet on their webshop! This time there is some really interesting offers for Hungary, Greenland material etc., as well as some interesting coins. Nordfrim frequently add new articles to the Outlet and all items are available at half price. As for all orders, Nordfrim offers full satisfaction or money back guarantee. Please note that many of the Outlet items are very limited in stock and a maximum quantity of 5 of each article applies in order to allow as many customers as possible to benefit from these offers. We have highlighted a few of our favorite items from the Outlet below, as well as a link to the full selection. Greenland - Year Pack from 2002 - Only 20 EUR! Greenland - Ethnography Folder - Only 3 EUR! Faroe Islands - Year Pack from 1999 - Only 16 EUR! Hungary - AFA no. 1257-66 - Mint - Only 6 EUR! Hungary - Souvenir Sheet from 1953 - Only 21 EUR! See all Outlet offers here! On January 2nd 2018, the Danish Postal Service issued this beautiful souvenir sheet, consisting of two separate stamps, both denominated at DKK 27.00. This is the first time that 84 year old Yoko Ono will have her artwork featured on stamps. The first stamp depicts the word "Dream" printed on a yellow moon, while the second stamp has the word "Smile" printed on an orange Sun. The background of both stamps, as well as the entire souvenir sheet, consist of two lines of text saying "I love you" and "We'll meet again". The cancellation mark for the issue had the words "Imagine Peace" printed in the middle. The issue has a feeling of love and hope to it, and hints towards Yoko Ono's late husband, John Lennon. You can find the issue right here in our catalogue, and you can get it directly through Nordfrim right here. On March 12th 2018, the Belgian Postal Service issued this souvenir sheet, consisting of 5 different stamps, showing four of his great pieces of work, and an engraved portrait of the artist himself. Peter Paul Rubens lived from 1577-1640, and today is known as one of the most influential Baroque painters. His works of art are not limited to one specific area, and today we see a wide range of his art throughout the world, in scenaries ranging from portraits of royalty, to scenes of war. The quality of his work is evident, and reflects in the prices of his artwork - his work "Massacre of the Innocents" fetched no less than 76 million USD, when it was auctioned in 2002. You can see the souvenir sheet right here. Our partner Nordfrim is offering free shipping on any order worth more than 20 EUR (25 USD / 17 GBP) placed before the 7th of April 2018. Nordfrim ships all orders with DHL allowing them to reach any corner of the world and all orders are covered by a 14-day money-back guarantee! Click here to enjoy free shipping on your Nordfrim order! Free shipping is activated, by adding the code “SW1804” during checkout. We have included a few great offers from Nordfrim below, which you might want to use your free shipping on. 500 different Italian Stamps - Only 18 EUR! Estonian mint silver stamp - Only 15 EUR! Japan Kiloware - 100 gr. off-paper - Only 18 EUR - Save 20 EUR! As you probably know, one of the most striking characteristics of a stamp, and the easiest form of recognition, is the name of the issuing country on the stamp. As part of an international agreement among postal authorities, all countries are required to print the name of the country on the stamp, among other things, in order to recognize the issuer. But then, what is this? This stamp doesn't carry the name of any issuing authority, and it is not just a crazy coincidence. As the rule states there can be "No rule without an exception", and there is an exception to the name rule. Great Britain is the only country in the world, which does not have to print the name of the country on the stamps. Here is why. Following The Great Post Office Reform in Britain, and after trying a wide range of alternative payment options for sending mail, a breakthrough was made, as Britain moved to a postal system which incorporated fixed rates for sending letters. This in turn lead to the development of proof of payment, where an adhesive label was added to the letter. The reform took place in 1839, and already in 1840, the first ever postal stamp was issued - the Penny Black. As the stamp was issued for national postage purposes, there was no reason to add the issuing country to the stamp. Even after cooperation with foreign postal services began, the design was respected, and it was agreed that British stamps did not have to include the name of the country, as long as the stamp included the current royal regent of Britain in the design. This agreement still holds today, and there seems to be no rush to change it. The first time a British stamp included the word "Britain" in the design, was in a special commemorative issue in celebration of the Festival of Britain in 1951, as seen above. In 1996, New Zealand Post produced a stamp issue in relation to Children's Health. The issue was supposed to be a standard surcharged issue, with a denomination of 40c and a surcharge of 5c. The issue was focused on the safety of children, and the stamps, designed by Helen Casey, and printed by the Dutch security printer Enschede, shows a child in a child restraint, and a teddy bear accompanying it, wearing a seat belt. From the stamp it is clear that the child and the Teddy bear are sitting in the back seat, and are facing the driving direction. This is in violation of the laws of New Zealand, where children must be facing the opposite direction in a car, as a security measure. This resulted in a last minute withdrawal of the original stamp, and the stamp was then redesigned, so the Teddy bear was no longer part of the stamp. All the copies of the original stamps were recalled by the New Zealand Post, and the error was not supposed to be publicized. The stamp was also printed as self-adhesive coil stamps in New Zealand, and a small number of these stamps were distributed and sold over the counter in Rotorua and Auckland before it was recalled. 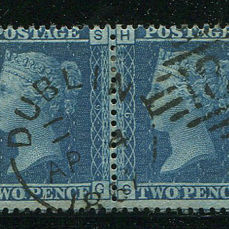 It is believed that about 1000 of these incorrect stamps were sold. The Health sheetlets were printed by the Dutch security printer Johan Enschede and they also had printed sheetlets with CAPEX overprint, which were meant for the CAPEX exhibition in Canada. It was believed that all the sheetlets with the erroneous stamps were destroyed after they arrived in New Zealand and both sheetlets were printed and issued without Teddy Bear on the stamps. However, about one year later one set of these sheetlets, which contained the recalled stamps, showed up at an auction in Amsterdam. An investigation, on behalf of the NZ post, revealed that the Dutch security printer Enschede had unknowingly taken out a few copies of the original sheetlets, and included them in Christmas presents for the employees of the company. It is not known how many of these sheetlets survived Christmas, but they surely became one of the rarest New Zealand philatelic items: the withdrawn self-adhesive stamp is valued now at about 1.600 Euro, the "non-issued" sheetlets however are valued at 12.000 Euro each in the latest Michel catalogue. One of the top sellers on Stampworld currently has a set of the two very special sheetlets for sale, and you can find the stamps and sheetlets in the Stampworld catalogue here. Great Offer - Great Britain Year Books! Our partner Nordfrim has a really interesting offer this week - two beautiful Great Britain yearbooks including all commemorative stamps from the years 1989 and 1990, available for only EUR 25! You can explore the full range of yearbooks and year packs, by clicking the link below. In December of 2010, the United States Postal Service issued a beautiful stamp featuring what they believed to be the Statue of Liberty, which stands in the harbor of New York City. All was well until March 2011, when the USPS was informed that the image they had been using for the stamp was in fact not of the original Lady Liberty, but actually depicted a replica, which stands in front of the Las Vegas hotel "New York, New York". Since the USPS were very happy about the picture, they decided to ignore this for several years, until they finally retired the stamp in January 2014. When the artist of the replica statue realized that the Lady Liberty displayed on the stamp was his creation, he felt entitled to royalties for the use of his sculpture. The USPS disagreed with this notion, as they claimed that the replica was simply a copy of the famous statue, and hence didn't qualify for copyright. The artist, Robert Davidson, claimed that his replica was not a simple copy, as he had done extensive work on the facial features of the sculpture, in order to make it more feminine than the original. As you see when you look at the two stamps above, there is a difference in the facial characteristics - the stamp on the left depicts the actual stamp, and the one on the right is a mock-up, using the original Lady Liberty. In the end, the court sided with the artist. The artist wanted to get a percentage of the value of all the stamps sold, which would have resulted in an enormous amount. The court decided on a middle ground, where the artist was awarded 5% of the value of stamps, which were not used at the time of the verdict. The reasoning was, that these stamps were sold to collectors, and hence they resulted in direct profit for the USPS. The total value of these stamps were roughly 70 million USD, so the artist was awarded roughly 3.5 million USD - a pretty sweet deal, compared to the usual 5.000 USD the artist receives as royalties for their work. If you want to secure your own version of this stamp, you can find it right here. On November 8th 2014, history was made. At an event by Correos Spain in Malaga, the world record for the world's largest stamp mosaic was broken. More than 230.000 individual, original postage stamps were used for the mosaic, which ended up being more than 220 square meters, upon completion. The mosaic was made with Spanish stamps of different designs from 2011, which were already taken out of sale, and would otherwise have been destroyed by the authorities. The objective of the project was to introduce the public to the world of stamps, and it must have had some effect, as more than 3100 individuals helped with the creation of the mosaic, which required more than 22 hours of work from the volunteers, who were primarily children. The mosaic depicts a capital &#209;, which is a letter that is exclusively used in the Spanish language. This symbolizes Spain and its former colonial states. Try fitting that in your stockbook! Germany is a popular collecting area for a variety of reasons. The country has an important place in European history, and offers many interesting historical aspects. Further Germany has been divided into several zones and areas, and therefore offer many different collecting possibilities - West Germany, DDR, Berlin, Bavaria, Danzig etc. Due to Nordfrim’s good relations, they are able to offer a big variety of interesting material from Germany – including very interesting kilowares, duplicate lots, collections and much more. We have selected a number of our favorite items from Germany and we invite you to use the link to access the full range of stamps from Germany available in Nordfrim’s web shop. Check out Nordfrim's Summer brochure! In Nordfrim's summer brochure, you can find all kinds of deals in philately, and whether you look for stamp packets, accessories, or kiloware, they will have something just right for you! Nordfrim is offering a free gift along with all orders of a certain size. If you spend more than 10 EUR, you get one gift. If you spend more than 50 EUR, you get two gifts, and if you spend more than 100 EUR, you will end up with three great gifts! You can read more about the great offers, and the gifts in the brochure below. Check out the brochure, to see all the many pages of offers available to you at the moment, or browse the entire website, to find exactly what you miss in your collection. Catawiki is an online platform that offers thousands of special objects and collectibles at auction. Every week a group of professional experts prepare a selection of hundreds unique, exclusive and rare stamps. Do you have any exceptional items to sell? On Catawiki you can sell objects that are unique or valuable. 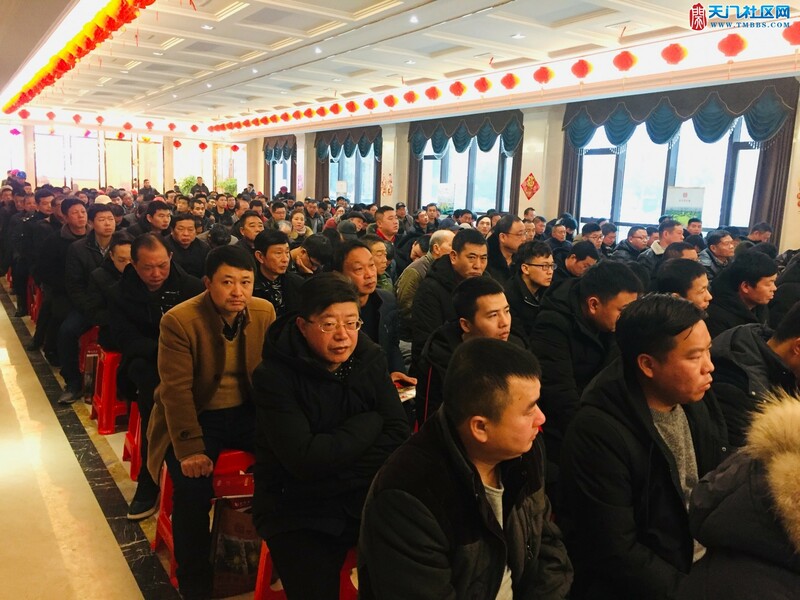 Millions of potential bidders are drawn to the auctions in search of exclusive items and collectibles. In 1918, the United States Postal Service decided to start sending mail by air. As airmail was much faster than regular mail, it was decided that a letter sent by airmail should cost 24 cents, which was much higher than the 3 cents it would cost to send a letter as first class mail. The postal service decided to issue a stamp specifically for this, showing the airplane, which was going to be carrying the mail, a remodeled Curtiss Jenny JN-4HM. 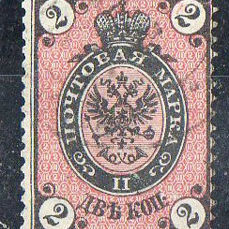 The Stamp was printed in two colors - the frame was red and the center was blue. This meant that the stamp had to go through the printing press twice, making room for errors. The postal service knew that there was a chance of misprints, and they were very careful, not to release any of the misprinted sheets. However, one inverted sheet made it out, and a lucky collector, William T. Robey, was able to secure it. 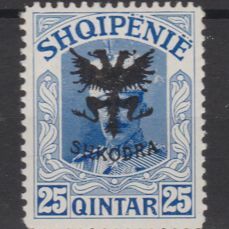 After changing hands a few times, the sheet was broken into single stamps, and sold to collectors from all over the world, who paid dearly for the stamps. 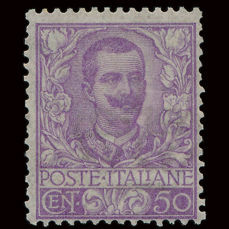 One of the stamps were sold in auction in 2007, at a price of more than $950,000. At the New York Stamp Expo in 2016, one of the main attractions was one of the Inverted Jenny's, which was auctioned off. The stamp was sold for $1,175,000, and when the 15% buyers fee is added, the price ends up at more than $1.3 million. The stamp was displayed, next to a functioning Curtiss Jenny - the plane depicted on the stamp. If you feel inspired, you can see if you can find the Inverted Jenny in our catalogue, but we warn you, it is pretty well hidden! High-quality stockbooks are an important part of any stamp collection, and no one knows this better than Nordfrim. Since 2004, they have sold tens of thousands of their highly popular luxury leather stockbook, and the price has remained fixed for the past 14 years! This year they are forced to raise the price of this great item due to increases in production costs, which means that the price of these stockbooks will rise by 20% from March 18th. Luckily for you, you still have time to secure your Luxury Stockbook at the original price! These red leather stockbooks are A4 sized (210mm x 297mm / 8.3 x 11.7 in) with 64 black pages, and they are available at only 27 EUR a piece up until March 18th. If you order 3 stockbooks, the price per item is only 25 EUR, and the price for 10 items is only 23 EUR per item. Today we look at a few great issues from around the world, which showcase something extraordinary in the country. We go all the way from Canada, over Great Britain, to China. This beautiful minisheet from Canada was issued in January 2018, and the eight stamps showcase the beauty of selected parts of the country. Five of the stamps are denominated as Domestic-rate stamps, one is a $1 domestic stamp, one is a US-rate stamp, one an Oversized-rate stamp, and one an International-rate stamp. The stamps each depict something of natural beauty, apart from the first one, which depicts the brightly painted Jellybean houses of St. John's, Newfoundland. In general, the stamps have a common theme to them, as these are all areas, which would be worth a visit. A few honorable mentions here are the Hopewell Rocks of New Brunswick, The Percé Rock in Quebec, and the Point Pelee National Park. You can find all these stamps in our catalogue. This great set of stamps was issued by the Chinese postal service on June 9th 2018, and celebrates some of the many sights of Kashgar. The stamps depicts the Ancient Town of Kashgar, the Zepu Jinhu Yang National Forest Park, the Ruins of Stone City of Taxkorgan, and the Khunjerab Pass. All four stamps are able to showcase the beauty and magnificence of the area in their unique way, with the National park showing an incredible natural beauty, and the Pass standing tall and intimidating in all its natural grandness. The stamps are denominated at 80 fen and 120 fen respectively, and can be found in our catalogue. The last issue here is from Great Britain, where what is being showcased is a little different from the other issues. Here we are not looking at natural greatness, but an impressive feat in terms of human craftsmanship. The issue from July 31st 2018 depicts Hampton Court Palace, which is one of only two remaining palaces of the many owned by King Henry VIII. Construction of the castle began in 1515 for Cardinal Thomas Wolsey, but was gifted to the King in 1529. Over time a lot of remodeling has been done, resulting in the grand palace that it is today. The four stamps depict the interior of the Hampton Court Palace, and the issue is accompanied by an issue focused on the outer features of the palace. The Hampton Court Palace is a favorite spot for many locals and tourists alike, and based on the stamps of this issue, it is certainly worth a visit. You can find the stamps right here in our catalogue. GMT+8, 2019-4-26 20:19 , Processed in 0.145209 second(s), 19 queries .